Lighthouse C.A.R.E.S.℠ is our values-based curriculum for preschoolers ages 2 through 5 designed to enrich young brains, nurture growing bodies and develop best behaviors. This values-based approach helps guide your child toward a passion for learning, while building a strong foundation of social and emotional intelligence to navigate our changing world. Teaching and practicing strong character values like respect, fairness and honesty help stimulate healthy social and emotional growth, which has proven to be a key indicator of future academic excellence. Children learn best through play and experience. 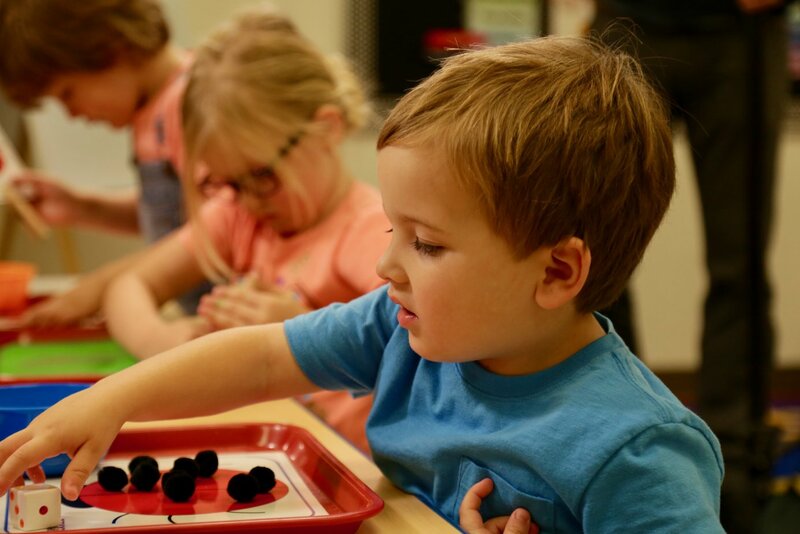 Our classroom discovery centers are designed to help children explore concepts like literacy, science, math and the arts through hands-on games and activities. The Lighthouse C.A.R.E.S.℠ curriculum was developed based on teaching strategies and educational practices that have been proven through years of extensive research and implementation. Research shows our approach works, but proof comes from the greatest child experts around — parents! Our classroom discovery centers are enhanced with items and activities that correspond with monthly themes and learning objectives. For example, when children learn about plant life, they may grow their own plants in their science discovery center. In the math center, they may be counting the petals on a flower or playing a game sequencing a plant’s life cycle. In the dramatic play center, they can become botanists as they learn about plants and the environment. Every activity is carefully planned to help children meet or exceed state early education standards and national kindergarten standards. In fact, children who have attended Children’s Lighthouse typically enter kindergarten well prepared to succeed. 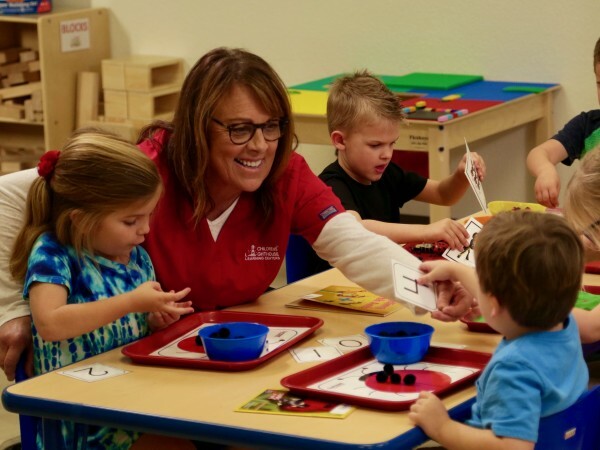 Schedule a tour to come in and see our preschool curriculum firsthand!